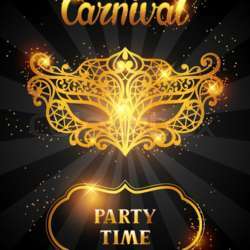 The time has come for a new get-together and to enjoy the crazy carnival time in Naples. I am glad to invite you all at the nice and fancy Jazzy! Its located in the very core of Chiaia district, at the heart of the club scene of the city! Let's our weekend start sooner, let’s forget about work, boring networking events and business cards! Bring your own mask, meet amazing people and be ready to have fun! Looking forward to meeting you and your carnival mask!